The Wire's original offer to carry Jay Amit Shah's response "as fair as fair can be", says Justice D.Y. Chandrachud. New Delhi: The Supreme Court on Monday clarified that while asking BJP president Amit Shah’s son and The Wire to explore a settlement in the defamation case filed by the former, it had never suggested The Wire apologise over the matter. Justice D.Y. Chandrachud noted this when lawyers representing Jay Shah said that The Wire’s counsel had said “no question of a settlement” when spoken to outside court on the date of the last hearing in the criminal defamation case filed by Shah. The Wire’s counsel Nitya Ramakrishnan corrected this by saying that what was rejected outright had been an apology – which Shah’s lawyer had wanted. She was emphatic that there was no question of an apology. At that point, Justice Chandrachud said that he had never suggested an apology, adding that the freedom of the press was too important a matter. Justice Chandrachud said that he was speaking along the lines of a clarification or version by Jay Shah that could be carried by The Wire. 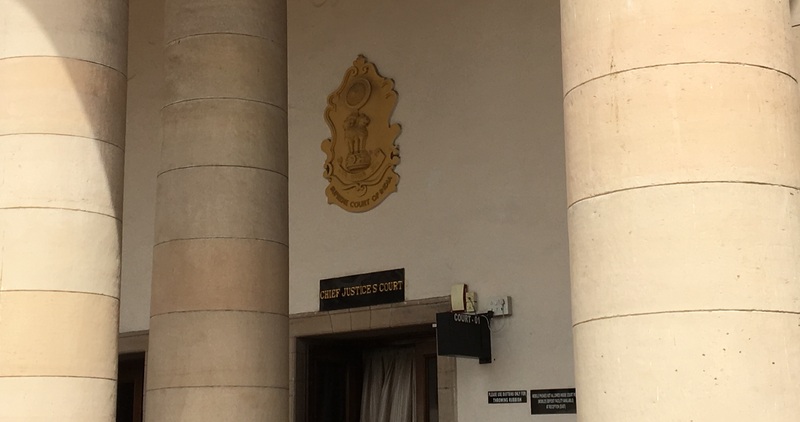 The court’s latest observations came during hearings on an appeal by The Wire challenging the injunction granted to Jay Shah by the Gujarat high court with regard to an October 2017 story on his business affairs. Speaking of putting an end to these proceedings, the apex court then suggested that a clarification or version of Jay Shah could be explored. Though Shah’s lawyer has not disputed the information drawn from Shah’s submissions – filings that companies must mandatorily make with the RoC to enable public viewing and examination – The Wire will be happy to publish any response from Shah as and when it is received. The chief justice’s bench then observed that the offer to carry any further clarification was very fair and asked Jay Shah’s lawyer to consider it. “They are willing to carry any clarification you want. That is as fair as it can be”, said Justice Chandrachud. The matter has now been posted in July 2018. An injunction was granted to Shah by the civil court in Ahmedabad soon after the story’s publication. It was eventually reversed by the same court but then reimposed by the Gujarat high court, after which The Wire appealed the matter in the Supreme Court. On April 18, while hearing the criminal defamation case filed by Jay Shah, the Supreme Court had adjourned the hearing to the first week of July while continuing its stay on criminal defamation proceedings against The Wire. When asked by the bench headed by the CJI during that hearing if any settlement could be explored between the parties, The Wire’s counsel Nitya Ramakrishnan said the article was a factual report published in discharge of public duty to inform the citizenry and thus it was not clear what the settlement could be in the circumstances. Jay Shah filed a criminal defamation case in October last year following the publication of the story on his business affairs. He also filed a separate civil defamation suit seeking Rs 100 crore in damages from The Wire, its editors, its ombudsman – whose task is to address reader complaints post-publication – and the journalist who wrote the story, Rohini Singh.